Last album on Setanta Records, A Secret History was released in 1999 soon after the success of National Express. 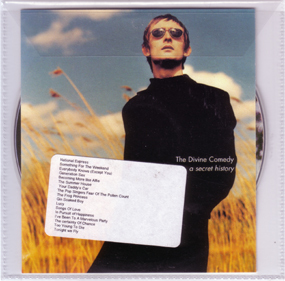 To promote the album, some of the UK releases came with a sticker mentioning the best-of features Divine Comedy hits. The catalogue number is also printed on it: SETCD100. 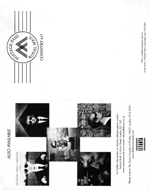 The booklet is composed of 6 pages. The first two pages give the tracklisting of the record. The middle pages show a photo of Neil Hannon in the William Blake pub at Enniskillen. 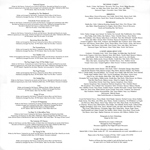 The last two pages give the recordings credits of all the past Divine Comedy albums. 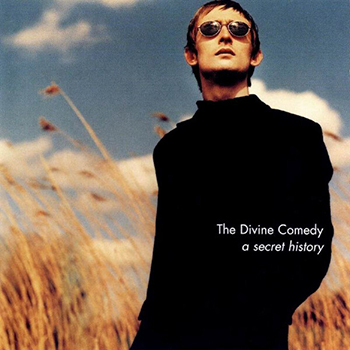 As at that time The Divine Comedy turned into a band, it begins with the names of the seven members. This won’t be kept in later pressings of the album. Released a few months after the CD edition, this limited edition (of 7,500 copies) comprises a book and two CDs. The book was released on December 1999 but could be pre-ordered from Setanta, for £20.50, to get a signed version of the book. 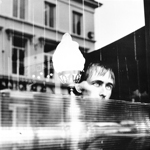 The 40 pages-thick book gathers unedited photos by Kevin Westenberg going from Liberation to A Secret History and articles by several people linked to The Divine Comedy and Neil Hannon himself. There is also a brief chronology of The Divine Comedy. The two CDs are enclosed with the book: A Secret History plus Rarities. Each comes with a card: a small discography for the best-of, and the tracklisting for Rarities. There might actually be two versions of the collector. The first one coming with the two CDs in plain black. Some other ones have the same Rarities CD but the usual Best Of CD instead of the black one. 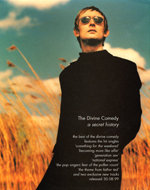 Later, the Rarities album was sold on its own in the Divine Comedy webshop. Then it means there might exist less black CDs of the Secret History album than prints of the Rarities disc. Many of those books featured a promotional sticker on the front cover similar to the one that can be found on the CD or the MC. It advertises the bonus CD and reads SETCDL100. It’s also worth noticing that the printed bar code on the book is wrong: it reads 5 033281 631002 instead of 5 033281 631006. 5 033281 631002 being actually the bar code number of the Secret History MC. Then, the late prints of the books came with a barcode sticker on the back cover featuring the correct code. The LP is a double vinyl set, but they come in a standard LP card sleeve. 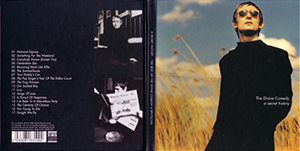 The front cover has on the left the bar ‘The Best Of The Divine Comedy’ which is to be found on the left of CD box under the CD tray. 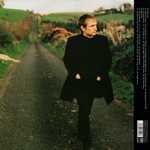 The back features the complete photo of Neil walking on the road and has the album details on a black bar on the right. The record comes also with a sheet featuring on one side the complete photo of Neil in the William Blake pub; and on the other one the complete credits for each song. The MC has a small artwork difference: the front cover has still the mention ‘The Best Of The Divine Comedy’ on the left, but printed in black instead of the black and yellow bar. The back and the side are printed on white on black. The folding part is made of 5 pages with on one side photos from the CD sleeve, and on the other side songs information and credits. Artwork credits are beside the side and contact information are beside the back. Most of the MC came with the promotional sticker on the box. It is the same one as the CD and still reads SETCD100. The promo CD often comes in a plastic sleeve with a card. The disc is actually the same CD as the album edition. The sleeve has a sticker featuring the tracklisting of the album. And the card announces the date of the release and other info from Setanta. Other versions come in a single jewel box, and feature both same CD and card, but have the sticker directly on the card. 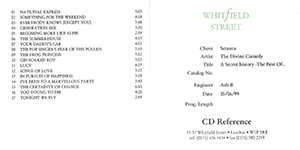 A mastering CD-R by Whitfield Street Masteering Studios was issued. The disc features just the titles and the studio’s logo; and it comes in a standard jewel case with a white folded insert. On the front side it shows some basic information, including the mastering date and the engineer name: Ashley Burchett. Strangely, this name is not credited on the album’s credits which states Ian Cooper from Metropolis for doing the job. The other side just shows the tracklisting. This postcard has nothing to do with the card given with the promo CD. This postcard was probably sent for promotion to mailing lists. It is bigger (A5) than an usual postcard. The front features the album’s hits names and the release date. The other side features the 5 first albums covers and the addresses of Setanta and The Divine Comedy’s management.